We offer a great choice of women's natural and organic skincare, bodycare and gift ideas to suit all budgets. As well as stocking what we would call more "mainstream" natural brands we also love to champion the smaller, artisan British brands too. You will therefore find a range of products and brands which you may or may not have come across before. We love to give these smaller brands a place to stand out. Many of the ranges we stock have Soil Association accreditation, are vegan and have won awards. 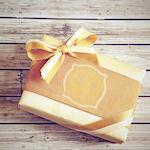 We hope that this makes your shopping experience with us for natural, organic and nourishing beauty a pleasurable one.